The company is currently working to overhaul the Mac Pro, its most powerful computer, but that won’t be ready until 2018 at the earliest. 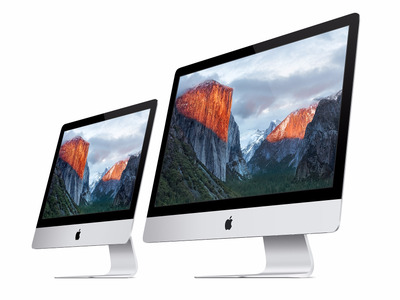 In the meantime, Apple has released a refreshed version of the Mac Pro, and also plans to release a separate computer aimed at professional users later this year: a “pro” version of its iMac desktop. Apple didn’t have any other details for this “iMac Pro” — if that will even be the name, for example, or what kinds of features it might have. But Schiller did say the new iMacs won’t have any sort of touchscreen. Since late last year, when Apple released its somewhat-controversial MacBook Pro with Touch Bar — an expensive computer that lacked many “pro” features — Mac users have been clamoring for more professional-oriented computers. In particular, enthusiasts have noted it’s been more than three years (1,200 days) since the last Mac Pro refresh. Apple normally keeps quiet about the products in its pipeline, but Apple’s “pre-announcement” on Tuesday was an exception. If anything, it was a promise to professional users that Apple is aware of the shortcomings of its current computer lineup, and aims to address them. Apple is refreshing the internals of the current Mac Pro while it works on the new one — that computer is available starting today — and these new pro iMacs will likely drop later this year.